Shrewsbury – Gary D. Granito, 58, of Shrewsbury, passed away unexpectedly July 26, 2018. He was born Jan. 8, 1960 in Poughkeepsie, N.Y. He graduated from Spackenkill high school and Cornell University. 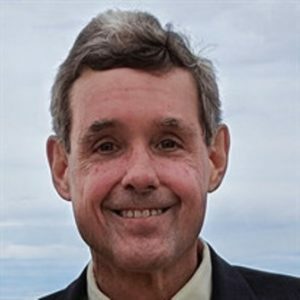 Gary worked as a Solutions Architect for Sun Microsystems/Oracle for the last 20 years. Family and friends meant the world to Gary. He enjoyed the many years of coaching his sons in baseball and soccer. Gary’s family had such fond memories of family vacations on Cape Cod, skiing, biking the rail trails and playing cards. His lifelong friends were like family to Gary and his sons were his pride and joy. Gary leaves his beloved wife of 27 years, Andrea B. (Euler) Granito. He was the loving father of Gregory D. and Derek J. Granito. He was the son of Gerry and the late Joan (Gassmann) Granito, brother of Laura Granito Demos and her husband Jim and Jeffrey Granito and his wife Kim. He is also survived by his niece and several nephews. Family and friends will honor and remember Gary’s life by gathering for calling hours Wednesday, Aug. 1, fromm 4-7 p.m., at The Chiampa Funeral Home, ~ Sumner House ~, 5 Church Road., On the Common, Shrewsbury. His funeral service will follow at 7 p.m. in the funeral home. In lieu of flowers, donations in Gary’s name can be made to the American Heart Association, 300 5th Ave., Waltham, MA 02451.